The Great Comanche Raid and the Battle of Plum Creek. One of the most storied events in the historic past of Lockhart, Texas occurred two miles south of town along the wooded banks of Plum Creek, when a small group of volunteers defeated more than 600 Comanche and Kiowa warriors who had participated in the Great Comanche Raid of 1840. The volunteers, militia, and Texas Rangers who fought the battle answered the call from Gonzales, Seguin, San Antonio, Austin, Bastrop, Goliad, Victoria, and La Grange, and from scattered homesteads all across central Texas. In early August of 1840, under the silvery light of a brilliant full moon, referred to by early Texas settlers for good reason as a Comanche moon, a war party of more than 600 Comanche and Kiowa warriors swept out of the Comancheria and rode for the heart of the Republic of Texas. The massive raid was launched in retaliation for what the Comanches perceived to be the unprovoked killing of twelve Penateka war chiefs and many innocent women and children at the Council House peace talks in San Antonio. Initially the citizens of San Antonio had lived in fear of retribution after the incident at the Council House, expecting the Comanches to immediately retaliate for their losses. However, after a few quiet months had passed the Texans began to grow complacent, sure that the savages had learned a hard lesson. This assumption could not have been further from the truth. The dreaded horse warriors were a fierce people who would never allow such an insult to freely pass. They had simply withdrawn deeper into the northern reaches of the Comancheria to gather their widely scattered bands in council and plot a course of revenge. B uffalo Hump, one of the few surviving Penateka war chiefs, led the massive war party on a trail that passed well to the east of San Antonio into an area of the Republic that was relatively uninhabited. This cunning strategy allowed the Comanches to achieve the element of surprise before spreading out and cutting a wide swath of destruction across the fertile lands that stretched to the southeast along the Guadalupe River. Killing and burning as they rode, the Comanches didn�t halt their movement southeast until they reached the old settlement of Victoria late in the afternoon of August 6. Instead of bypassing Victoria in the usual mode of roving Comanche war parties, Buffalo Hump convinced his warriors to surround the town. He then did something few other war chiefs had done before or since when he led an attack that overran the settlement. Most of the citizens saved themselves by banding together and forting up in the south part of town, but fifteen people, including seven slaves lost their scalps as the Comanches galloped through the streets howling their war cries and launching arrows at anything that moved. Before the smoke of the fight had cleared Victoria, the Comanches were again on the move to the southeast, by now driving a herd of nearly two thousand stolen horses and mules ahead of them. 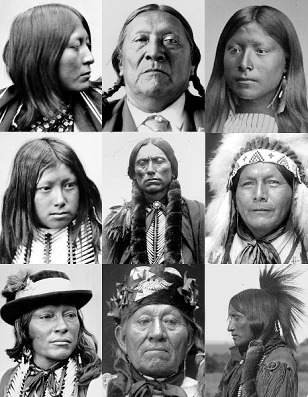 This vast herd of �Comanche Gold� would eventually lead to their undoing. 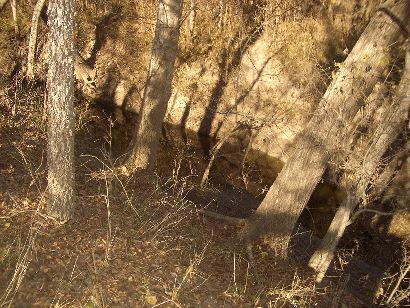 Proceeding down the Guadalupe River bottomlands unhindered, the savage hoard burned and killed as the opportunity arose. Once word of the raid began to slowly spread across the valley, scattered militia companies and volunteers turned out, but they were few and far between, and at first their only contribution consisted of burying the dead. In the meantime, all along the Guadalupe, houses burned and unwary settlers died. n the morning of August 8, as the war party neared Lavaca Bay on the Gulf Coast, Buffalo Hump formed the warriors into a huge half-moon arc. The target of their hostilities was the quiet little seaport town of Linnville which served as the port of entry for San Antonio. A few of the town�s citizens spotted the Comanches from a distance, but they mistook the warriors for Mexican traders until the savages began their screaming charge. By then, there was little for the bewildered inhabitants to do except row for their lives in small boats or flee for the safety of larger craft anchored in the bay. Some found refuge on the steamer Mustang lying just offshore, but others were cut down and immediately scalped before they reached the water. Those who did manage to escape were forced to sit and watch as their homes and businesses were looted and burned before their eyes. The Comanches spent the entire day pillaging and burning Linnville. Warehouses packed with goods destined for shipment to San Antonio were a special delight for the frenzied looters. Warriors dressed themselves up in top hats and fancy frockcoats. Some even paraded with parasols, wearing women�s dresses and petticoats, their ponies� tails braided with entire bolts of colorful cloth streaming out behind them as they galloped back and forth through town. Other warriors occupied themselves slaughtering the town�s livestock. One citizen was so distraught and angry over the ransacking and destruction of Linnville that he waded ashore waving an old muzzle-loading shotgun above his head, bravely challenging the galloping warriors to meet him in combat. The bewildered Comanches, thinking the man must be crazy for facing them as he did and therefore untouchable, simply rode around him, acting as if he didn�t exist. When the man finally gave up and waded back out to his boat he discovered the shotgun had never been loaded. Finally satisfied that Comanche blood spilled by the Texans during the Council House fight had been fully avenged, Buffalo Hump called for a return to the Comancheria. However, as heavily burdened as the Comanches now were with dozens of fully loaded pack mules, many prisoners, and well over two thousand stolen horses and mules, the trail home would prove to be treacherous. To make matters even worse, at that moment riders were galloping all over central Texas spreading news of the raid and seeking volunteers to confront the marauders. A militia company under the command of Captain Tumlinson began using hit and run tactics to press the savages hard from the rear. 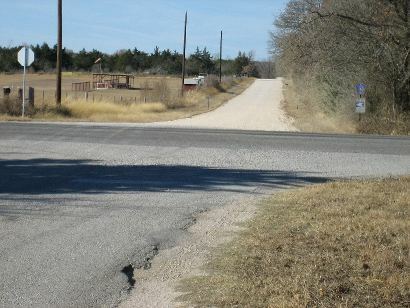 Caldwell County Road 160 follows the original road between Gonzales and the new capital of Austin. Further west, veteran frontier leaders like Matthew �Old Paint� Caldwell and Ben McCulloch were busy gathering the scattered volunteers at the cabin of Isham Good, one of only two settlers who were brave enough to settle in the remote area of central Texas. 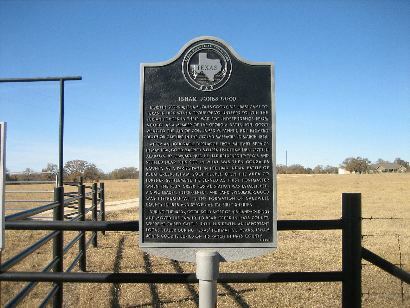 Good�s cabin stood a mile east of Plum Creek, near the road that led from Gonzales to the new capital of Austin. If Buffalo Hump had led the war party west from Linnville and circled south of San Antonio on the return ride, the Comanches may well have escaped the trap being laid for them by the Texans. Instead, the war chief continued to lead his warriors to the northwest on the same trail the war party used to enter the Republic. The Comanches were heading straight into the arms of impending disaster. Late in the afternoon of August 11, Jack Hays rode up to Isham Good�s cabin at the head of a company of Texas Rangers from San Antonio. The presence of the hardened veterans lifted the volunteers� spirits and helped bolster their confidence. However, Hays�s arrival was soon followed by General Felix Huston who rode in from Austin. Huston insisted that since he was a General in the regular Texas Army, he and not Caldwell, who had been selected by an earlier election of the men, should take command. Loud and angry protests immediately erupted from the volunteers. Unlike General Huston, who was virtually unknown and had little experience in dealing with Indians, �Paint� Caldwell was a familiar figure to most men on the frontier, and a veteran of countless engagements with the Comanches. The Texans both knew and trusted him. However, in spite of the objections expressed by the volunteers, Caldwell felt Houston was entitled to take command, and the men reluctantly accepted his decision. Before first light the following morning of August 12, the volunteers saddled up and rode west. 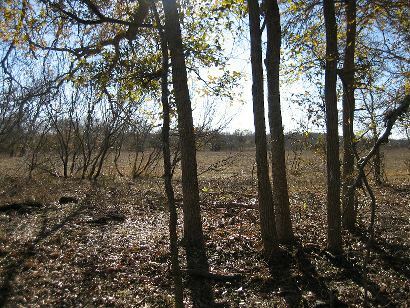 After fording Plum Creek at Good�s crossing, the Texans sent out scouts and followed the course of the creek south. The sky in the east was beginning to pale with the coming of dawn when the scouts returned and reported the Comanches had already forded the creek and were heading northwest on a collision course. At Caldwell�s suggestion, General Huston dismounted the Texans and ordered them to take cover in the trees and heavy brush that grew along the creek. The war party, never suspecting danger lurked so near, soon made an appearance, driving the huge herd of stolen horses before them. When the Comanches drew abreast of the Texas positions along the creek, Caldwell urged Huston to attack the war party by surprise. The General was about to follow his suggestion when a courier arrived from Bastrop with word that Colonel Burleson was on his way with nearly a hundred more men. Huston decided to wait for Burleson. The men grumbled their displeasure, but they grudgingly accepted the General�s decision. By the time Burleson and his men rode in nearly two hours later, only the rear guard of the huge war party remained. Caldwell suggested the Comanches could be delayed with an attack on their rear guard, and after pausing to gather his thoughts, General Huston agreed. 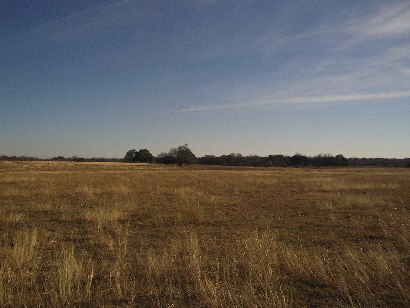 When the volunteers emerged from the trees along Plum Creek and struck the surprised war party, a running skirmish developed that covered the next few miles, with the Comanches fighting a series of delaying actions until they reached Kelly Springs, a mile west of present day Lockhart and not far from the entrance to Lockhart State Park. After urging the younger warriors to hurry on west with the loot and the stolen herd, the remainder of the Comanches emerged from the trees surrounding the springs and formed a battle line facing the Texans. The Comanches presented quite a spectacle dressed as many of them were in the fancy clothing stolen from the Linnville warehouses, and the fierce horse warriors began to gallop back and forth between the lines, putting on a display of horsemanship that would have rivaled any show in the world. General Huston appeared to be content to sit his saddle and watch the show, but the experienced Indian fighters like Caldwell quickly realized loot, not combat, was the uppermost thing in the minds of Buffalo Hump and his warriors. The Comanches were attempting to delay the fight until the younger warriors had time to drive the huge herd of stolen horses and mules further to the northwest out of the reach of the Texans. Caldwell insisted it was time to press the attack home, but General Huston once again hesitated. In the midst of the confusion, a Comanche war chief wearing a magnificent feathered headdress solved the dilemma by trotting his painted pony out of the ranks and boldly challenging the Texas leaders to individual combat. Suddenly a shot rang out from an unknown marksman, and the impact of a heavy rifle ball flipped the war chief off the back of his pony as if he had been swatted across the chest with an ax handle. A low groan of dismay arose from the Comanches at this sign of bad medicine. �Now, General, is your time to charge them!� Caldwell shouted. Without waiting for an order from General Huston, the Texans, screaming and shooting, spurred their mounts forward. The herd stampeded and the Comanche battle line dissolved as the warriors attempted to regain control of the stolen animals. With the warriors dispersed to the winds, the Texans began to pick them off one at a time. 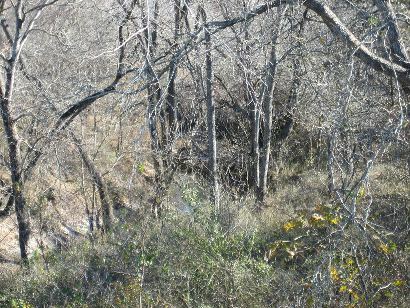 The struggle was close and cruel, and a running fight ensued that stretched to the headwaters of the San Marcos River. Unfortunately for the Comanches, the untimely death of the war chief had ripped the fighting heart out of the warriors and the day quickly became a massacre rather than a battle. Before the fighting was over more than eighty Comanche dead lay strewn along the fifteen mile battlefield. Only one Texan was killed in the fighting, however the white prisoners weren�t as lucky. Many of them were put to death before they could be rescued. The heavy losses suffered by the Penateka Comanches severely crippled their fighting ability. Never again would they attack in such force or raid so deep into Texas territory. Instead the horse warriors resumed their old hit and run guerrilla tactics that would continue to prove a formidable obstacle to westward expansion for many years to come. President Lamar was now convinced that the Comanches must be taught a lesson for their effrontery, and he ordered Texas Ranger Colonel John Moore to prepare an expedition for a retaliatory attack on a Comanche winter village far up the Colorado. The Texas Rangers would now carry the fight deep into the heart of the Comancheria. The Great Raid and the Battle of Plum Creek remain a colorful part of the history of Lockhart.